MNDA as we strive to meet increasing demands. help support the good work carried out. Colin Moss, who has been living with MND for the last 14 years has sent us some great news about his good friend Tony Vines. Tony has run 47 half marathons since 2009 with a PB of 1hr 33 min. He has completed 5 full marathons; London twice, Loch Ness 3 times. 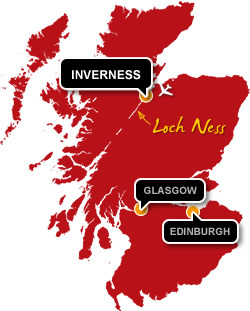 His PB for a full marathon is 3 hrs 35 min at Loch Ness finishing 3rd for his age group . 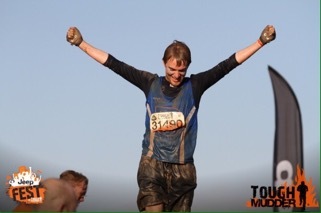 This year Tony will be running his 4th Loch Ness Marathon and will be raising funds for the Motor Neurone Disease Association in recognition of his friendship with Colin. 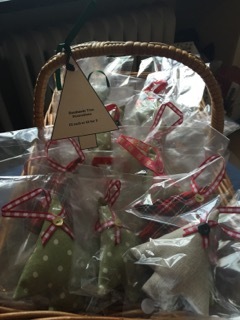 ​The Christmas Market at Dauntsey Park was great and our stall raised £479.75 on the day and a further £233.05 in advance sales making a total of £712.80. 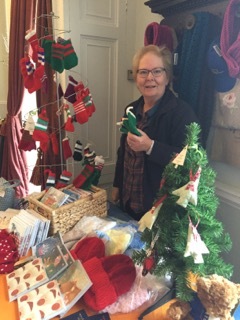 Many thanks to all our supporters - Susanne, Alison, Anita, Barbara and her daughter Sharon, Sue and Sarah Occleshaw who all made items to sell and also helped on the day. Also a huge thank you to all our knitters and sewers who made all the lovely things for us to sell. A good day was had by all. 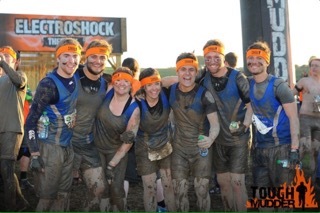 A few weekends ago, Jon Haines and his housemates ran the 'tough mudder' course in aid of North Wilts MND. 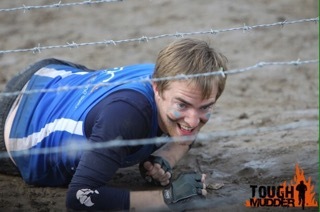 12 miles and around 30 obstacles designed to test just how tough they were! 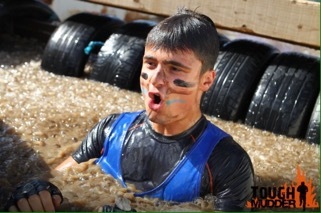 Included were ice baths, 15ft drops, slippery half pipes to scramble up and the dreaded electrocution wires! 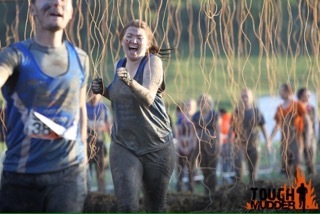 Despite all the challenges, they crossed the finish line as a team covered in more mud that you'd think possible. 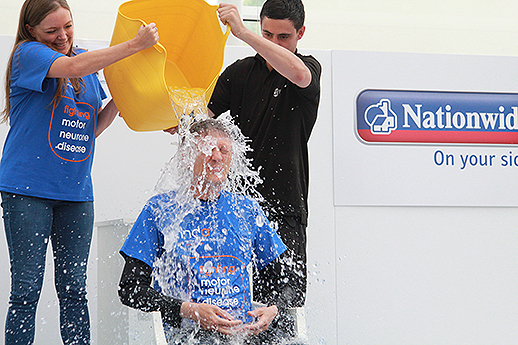 More importantly, they raised just over £2000 for MND, which was double their original target! Well done guys, great effort! 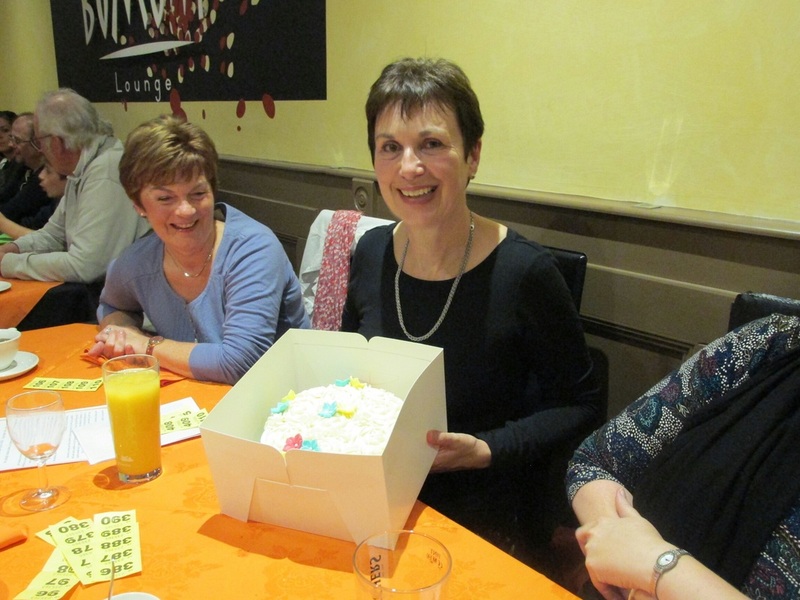 John and Pam Gough and Debs Brown held a fundraising party at the Oriental Aroma in Royal Wootton Bassett on 27 September in tribute to sister and daughter Anna Gough. What an amazing night was had by all! Thanks to everyone who came together to show their support for 2 local charities who were so supporting to Anna through her illness..
A grand total of £2872.80 was raised which will be split between Motor Neurone Disease Association (North Wilts branch and the Prospect Hospice) two charities very close to their hearts. A special thanks has to go to James Huynh of the Oriental Aroma in Wootton Bassett who donated all the food and the hire of his restaurant. Pictured Alison receiving a cheque for £1436.40 from Jade Dando, local beauty queen and member of staff at Oriental Aroma, with John Gough, Debs Brown and Prospect Hospice fundraiser. Volunteers splashing around at Coate Water raised more than £13,000 in this year’s Dragon Boat Race and the cheques were presented by the Rotary Club to sponsored charities including the North Wiltshire MND Group this month. 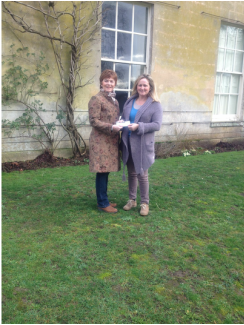 Teresa House handed over £487 raised through fundraising in school to Alison Avis today - the representative of the local MNDA(Motor Neurone Disease) charity. The charity was chosen as the designated Teresa House charity for 2014/15. Lots of fundraising efforts took place including raffles/stalls and other games for students to take part in at the beginning of May. Cash raised on the Teresa House non uniform day has also contributed to the total. Mr Herring and Mr Raymond are happy to announce that Teresa House will continue to support the charity this year. Well done to all of the students who helped organise the fundraising event. Mrs Avis is really pleased with our fundraising efforts so far and is so grateful to hear that we will be supporting the charity once again. Below are a couple of pictures of students from Devizes School who held an MND Awareness event during their lunch break on Friday 1st May. 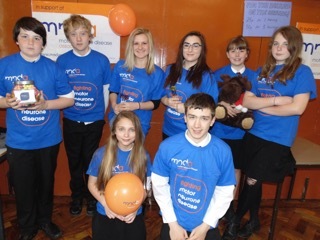 Following a school assembly where Alison Aviss made a presentation on MND the students of Teresa House decided to hold a lunch time event with stalls to highlight the difficulties encountered by those affected by MND. Students designed the activities and ran the stalls themselves and raised £88.18 for the North Wiltshire Group. 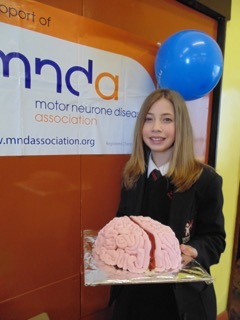 There was even a Brain Cake to show that it is the messages from the brain that get interrupted and cause the problems. Well done and massive thanks to all the student, teachers and supports who helped to make this a great and innovative event. 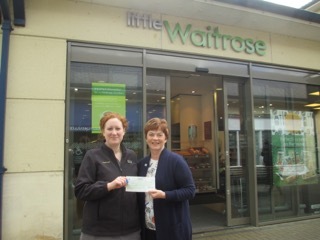 North Wiltshire Group was one of the charities chosen by the Waitrose team at the Chippenham store for their Community Matters initiative. We are delighted to have received £210 and thank the customers, store team and friends of the Ward family for nominating us. Group Chair, Alison Aviss said We are so grateful for the support shown by Waitrose and to all the customers who helped to make this happen. Donations like this really help us to support local people affected by this disease. My special thanks also go to the friends of Stephen Ward for nominating us. 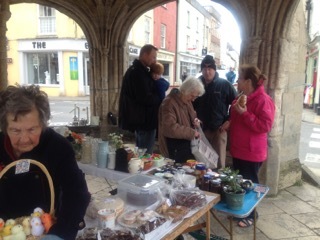 The Malmesbury Stall proved to be a winner again in March with Anne and her fab team collecting £800!! Many thanks to all those who helped on the stall and also to those who bought items and helped make the total for the day so amazing. 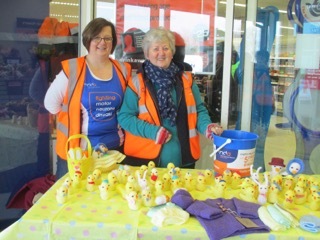 Sue and Sarah Occleshaw held their Easter chick stall at Sainsbury’s in Royal Wootton Bassett on Wednesday 18th March, raising an amazing £169.49. Our grateful thanks to them for all their hard work and continued support for the North Wiltshire Group and to the Sainsbury’s store for donating the cream eggs. Pictured are Sarah and Sue with the chicks. charity of their choice over the next 10 months. Staff members are picked out at random each month through various fun activities and challenges. February’s decision was made through a game of bingo where Lois McGuffog, our Head of Operations won the chance to donate £100 to her charity of choice in February. 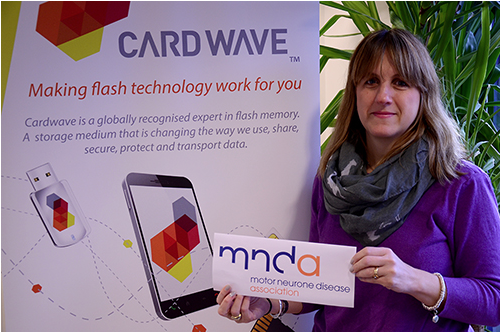 Lois’ chosen charity is the North Wiltshire Group of The Motor Neurone Disease Association who have become very important to her following the diagnosis of a family member. Volunteers from the North Wiltshire group of the MND Association helped spread awareness of motor neurone disease (MND) last week, holding bucket collections at Shaw Ridge Cineworld in Swindon.They were able to raise awareness of the terminal condition after screenings of The Theory Of Everything, the latest film telling the story of Stephen Hawking, the astrophysicist who is living with MND. The Theory of Everything is a biographical romantic drama about the relationship between Professor Hawking, a patron of the MND Association, and his wife Jane. The UK premiere of the film was held in December at the Odeon Leicester Square in aid of the MND Association. VIP guests on the night included people living with and affected by MND, some of whom had helped the lead actors Eddie Redmayne and Felicity Jones research their roles. MND Association branches and groups joined forces with their local cinemas to organise 75 bucket collections across England, Wales, Northern Ireland and the Channel Islands to celebrate the general release of the film, which came out on New Years Day. 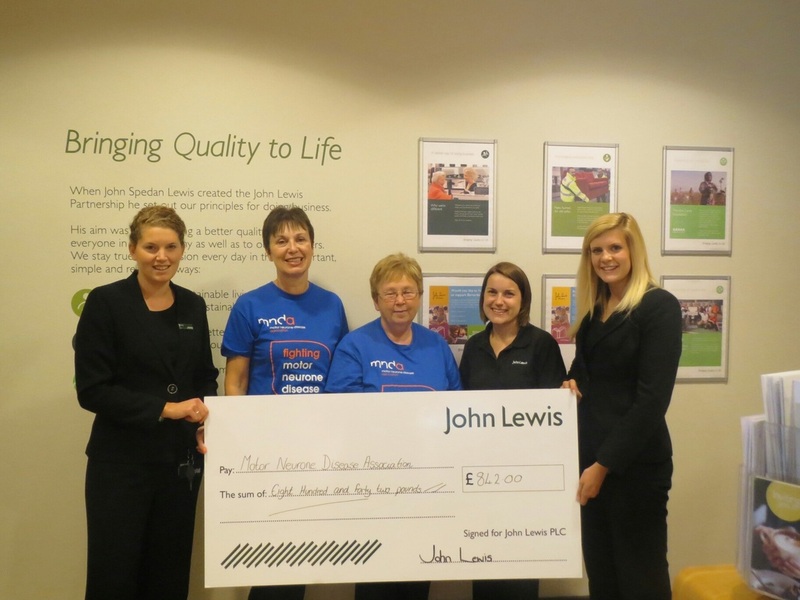 ……Is the John Lewis scheme that uses tokens to enable customers to decide how much of a monthly or quarterly total is given to three charities or community groups, nominated by customers and selected by Partners. North Wilts MND Group was chosen to benefit from their token scheme for the second quarter of this year and received a fantastic £842.00. 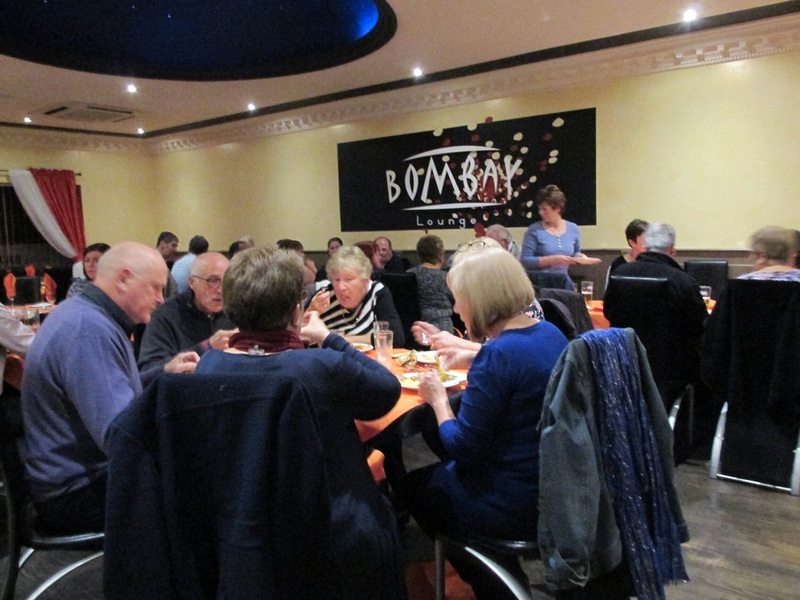 ALL YOU CAN EAT AT THE BOMBAY LOUNGE! On Sunday 17 Aug Pam and Anna Gough hosted a cream tea in their village of Tockenham. 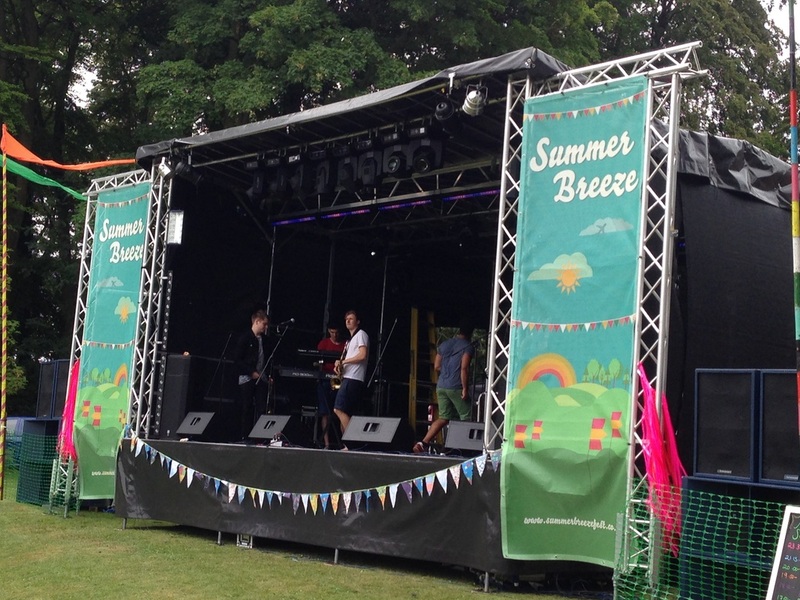 As the weather looked a bit uncertain, the event was held in Tockenham village hall, which was just as well given the number of people that turned up. 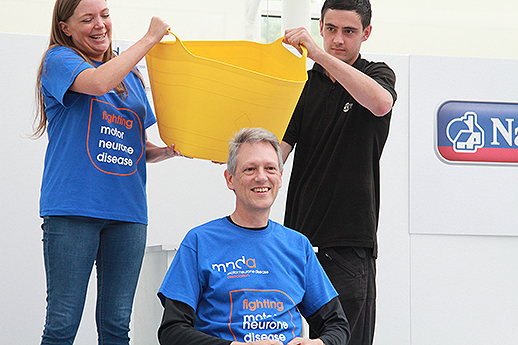 Heather, our Campaigns Contact, has taken part in the MND Ice Bucket Challenge! 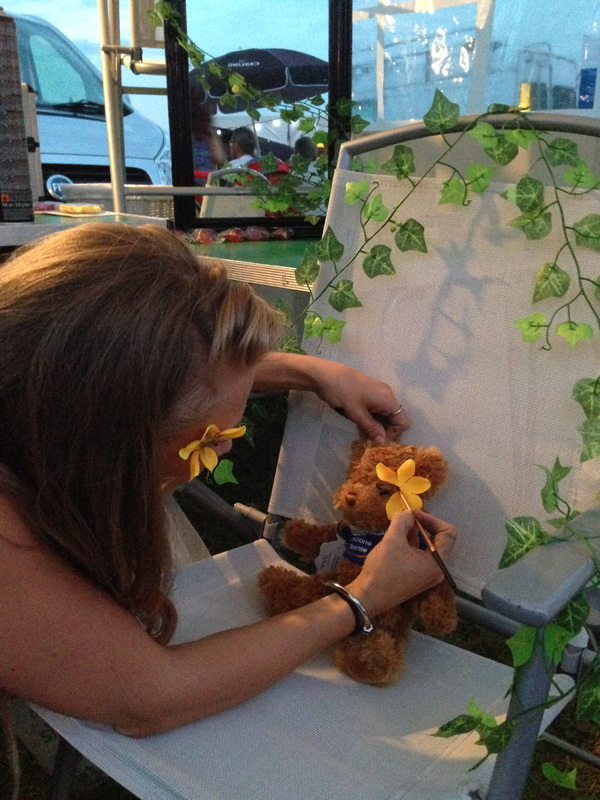 She did this on 26th August, which marks 5 years to the day since her partner, Steve, was diagnosed with MND. Heather said, 'Steve would love this if he was still here, any excuse to dump ice water on my head! 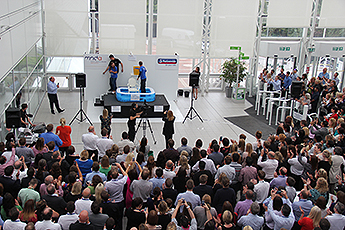 See our Facebook Page for more committee member's Ice Bucket Challenges! 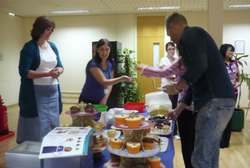 Many thanks to Nationwide Swindon for allowing us to invade their space and hold a really successful cake sale on Friday 29th August, during the same week that their Chief Executive did his Ice Bucket Challenge. 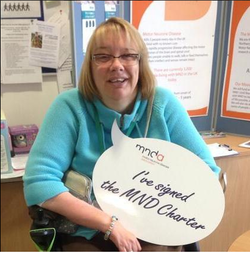 £283 was raised and we gathered 25 signatures for the MND Charter. When the Jovial Monk Golf Society was looking for a deserving charity to contribute to for their 2014 events, the decision came easily. 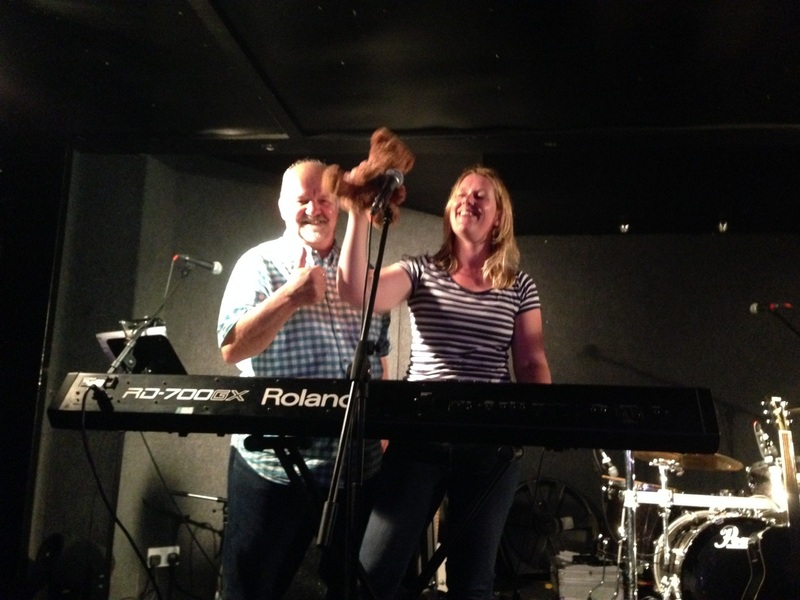 One of the pub’s regulars, Sean Connolly lost his Mum to MND earlier in the year, so it was a unanimous decision that all proceeds should go to the North Wiltshire Group of the MND Association as a token of support for the Connolly family. The guys had a great day at Chipping Sodbury Golf Club attended by 30 players including members of the South Cerney Golf Club. 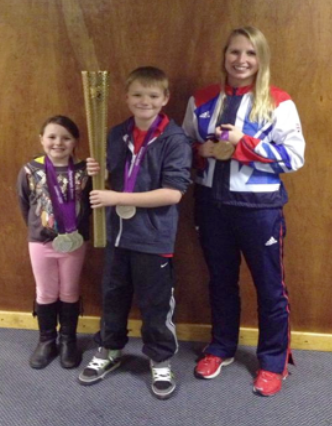 A substantial amount was raised by the South Cerney team and one of their pro’s Nathan Brookes. 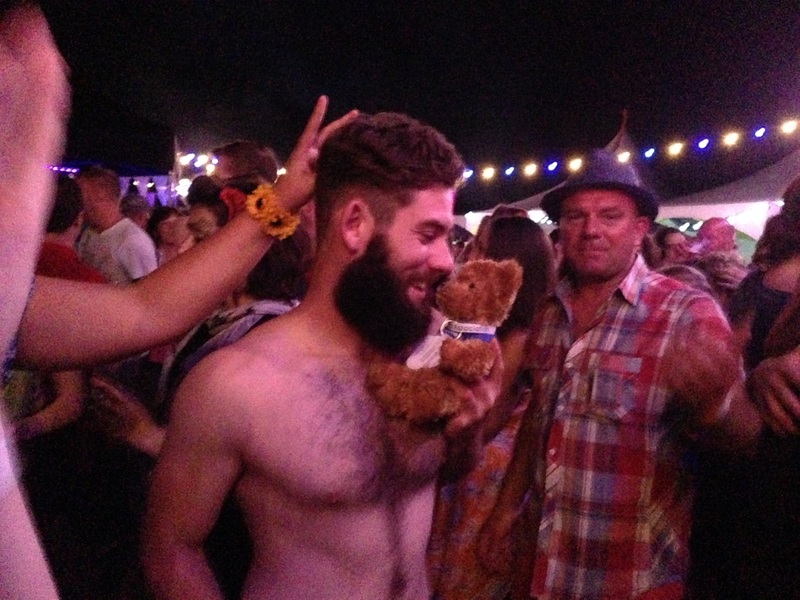 £1808.66 was raised from the day which was followed by presentations and celebrations back at the Jovial Monk. Following on from this, the landlord of the Jovial Monk, Dave Rogers, contributed a further £500 from his Party in the Car Park event, making a grand total of £2308.66. This was presented in the form of a giant cheque to Alison Aviss and Barbara Crook. 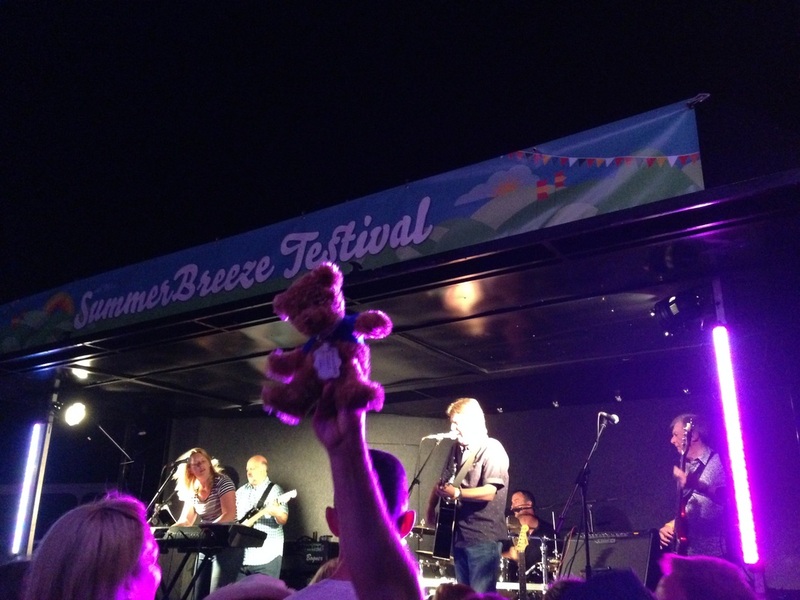 The annual Summer Breeze Festival was held at Liddington Warren Farm on Friday 18th and Saturday 19th July and organisers Sarah and Andy kindly let us have a stand for the weekend to raise awareness, sell cakes and add signatures to the MND Charter. 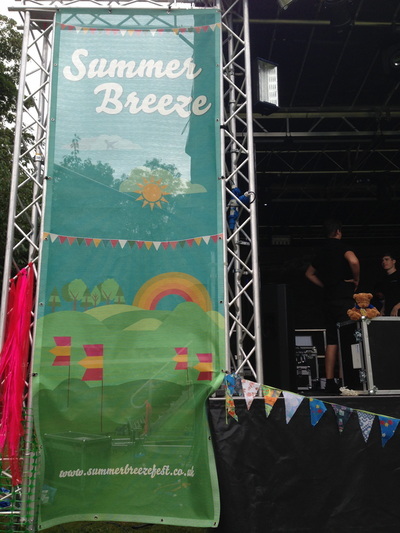 Apart from a few thunderstorms on Saturday, the weather was good and the event was a sellout. 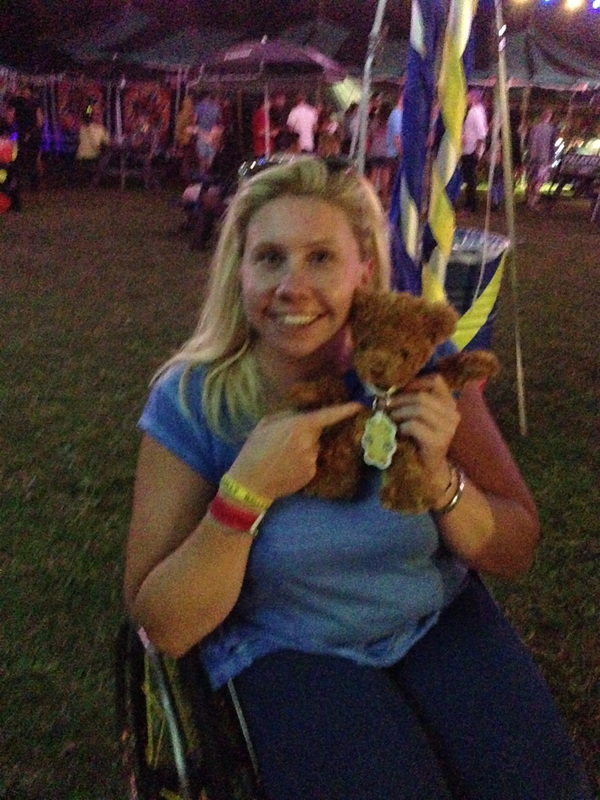 @ABearsJourney also sent us an MND Bear (named Breeze Bear for the weekend) to join in the festivities. Fundraising and charter signatures are yet to be totalled but the party goers were very happy to support the cause and the buckets were feeling pretty heavy by the end of the weekend!! With her trip to France delayed, Anne has been pulling out all the stops and bringing in as much money as she can. 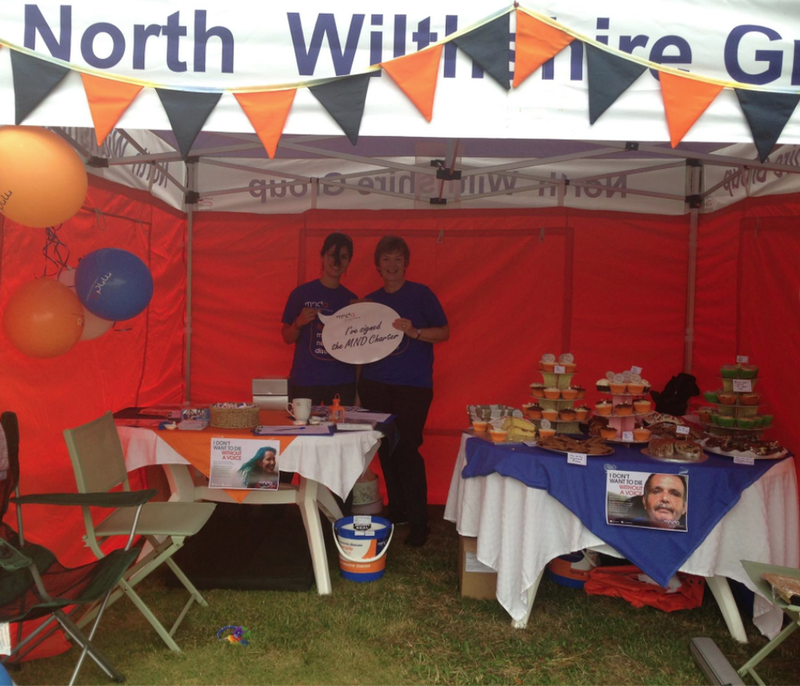 The Charity Stall at Malmesbury raised a massive £875.00 and Car Boots and other donations swelled the total to £1075 for July! Just Amazing! SEQOL CHARTER SIGNING AND BAKE IT! Michelle Howard, Chair of SEQOL signed our Charter during a morning that Heather, Susanne & Barbara attended at their head office in North Swindon. In addition to gaining 37 signatures for the Charter, our home made cakes proved very popular achieving £48.52 in donations. A great deal of interest was shown by many Seqol staff concerning the benefits of the Charter and the needs of people with MND. Our grateful thanks to Stella Knowles, Christine Howells, Denise Lewis and Michelle Howard for enabling this event. SEQOL is a social enterprise – a business with a social purpose, to provide quality care and sup- port for adults in Swindon and the surrounding area, that focuses on the individual, not the sys- tem. Its social purpose is supporting people to make the most of their lives. That not only drives everything they do – but also how they do it. Their integrated approach enable them to provide the balance of high quality support and care needed to live life as you want to – in your own home wherever possible and enjoying the dignity and respect you deserve. 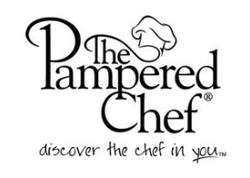 Most importantly, they give you genuine choice in your care wherever possible. Arthur was delighted when more than a dozen friends and neighbours joined him for coffee and cake during this year’s Month of Awareness. A selection of delicious home made cakes was on offer and donations amounted to £90.70 plus 4 more signatures for the Charter. 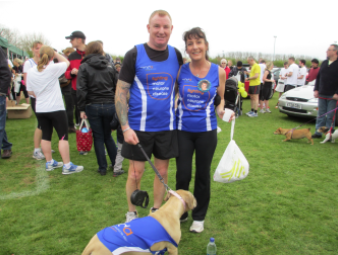 Arthur’s wife Joyce was diagnosed with MND in 2011, and he is keen to raise funds and awareness to help with both finding a cure and making life easier for those who have the disease. Sharon & Tom kindly offered their driveway for a June Bake It event. On a busy main road, the stall attracted plenty of attention from neighbours and passers-by. Home made cakes, including Jaffa cupcakes and Victoria sandwiches, and preserves soon sold out resulting in orders being taken and Sharon putting in an extra baking shift the following day! A total of £163 was raised with16 more Charter signatures including one from the postman! 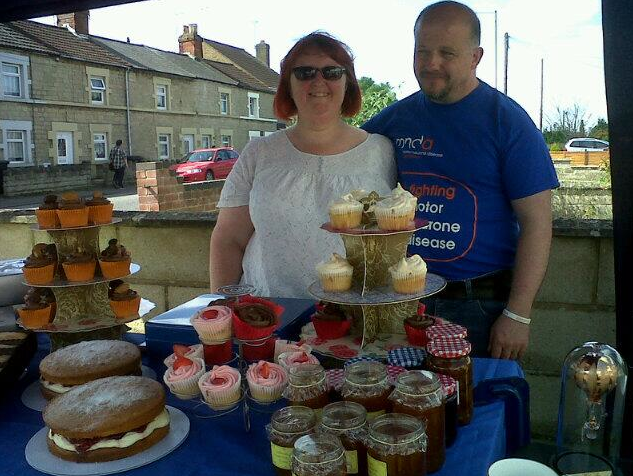 MND North Wiltshire raised £120 towards fighting Motor Neurone Disease from it's Bake-It! sale on 1st June at the Chiseldon Football Club Annual Family Fun Day. It was a beautiful sunny day and the spread of cakes ranged from gooey chocolate cakes, banana muffins and 'St George's Cross' cupcakes, through to coffee cake and individual flapjacks. 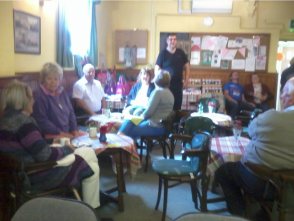 Thanks to the generosity of the club we were also able to offer teas and coffees to the families there. We also managed to raise awareness of MND and gathered signatures for our charter. 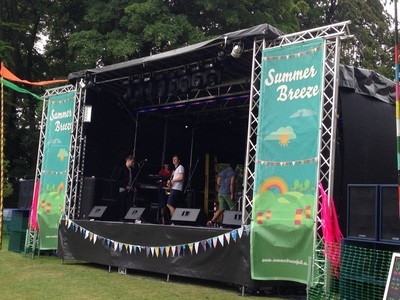 The football club is run on a purely voluntary basis and are always looking to develop new ways to expand the fun day, keeping it fresh and attractive to the children and parents who attend. 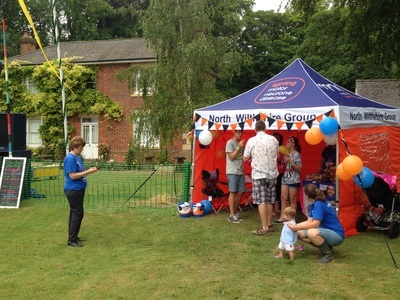 The cake stall added a new dimension and the club raised £800 for their own funds through a barbecue and games for the club members. This will help them to keep the youth teams running, provide training for their coaches and help buy kit for the club for the whole year. 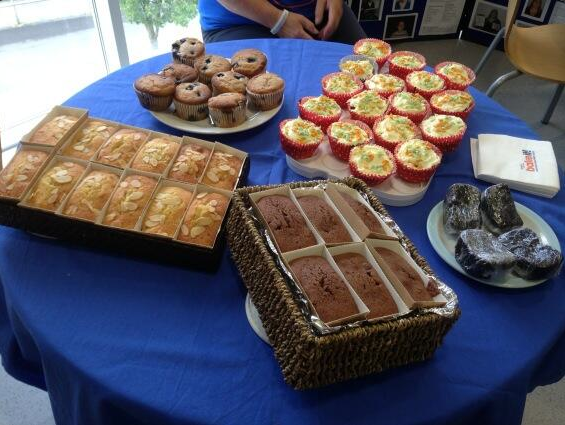 Chairman, Matthew Clarke said "The football club is delighted MND North Wiltshire was able to contribute a variety of delicious baked goods towards the event whilst also raising awareness of MND. Local organisations working together in this way can only be positive and it is an exercise we will look to repeat in the near future." If you are involved in a local team (football, cricket, rugby or otherwise) or other community group and would like to add a cake stall to your fundraising events then please do get in touch by clicking on the Contact Us link on the left. Thanks to the hard work of Anne, Glen Woodman, Sue Occulshaw, Sharon Lloyd, Barry Cooper, Heather Smith and others, we have collected £1550.00 in April. 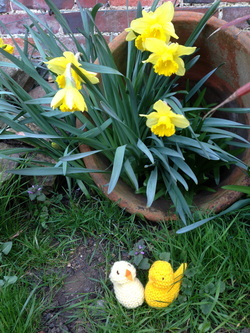 The Easter chicks have definately played their part, along with Charity stalls in Wootton Bassett and Malmesbury being the biggest fundraisers. WELL DONE ALL! 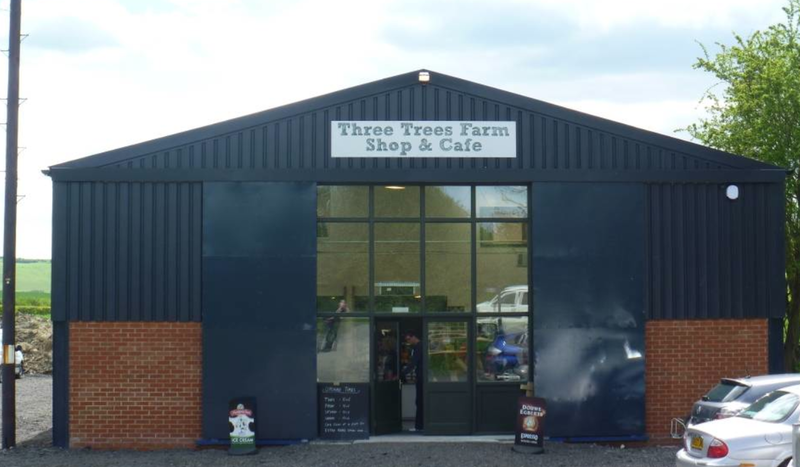 Local business, Three Trees Farm Shop, Chiseldon raised £150 for MND North Wiltshire through the sale of our Easter Chicks this year. 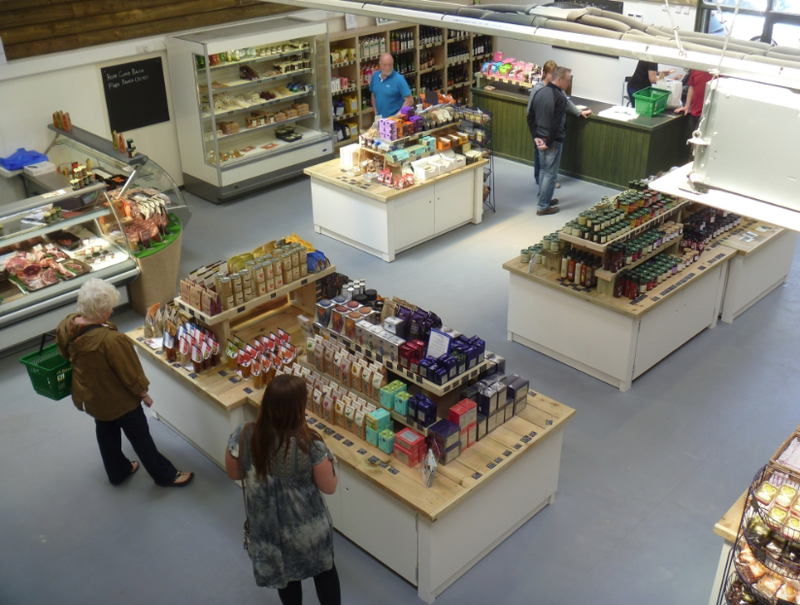 Proprietors Ian and Beth McMurray and Claire Wood said "the chicks proved really popular with our customers, and it was good to know the money was going to a worthwhile cause". Neil and Deb Watkins from Neston held an invitation golf day at The Manor House Golf Club, Castle Coombe, on 28th March, to raise funds in tribute to Neil’s brother who had MND. Despite the spring storms and wind, the golfers had a great day with some excellent scores recorded. 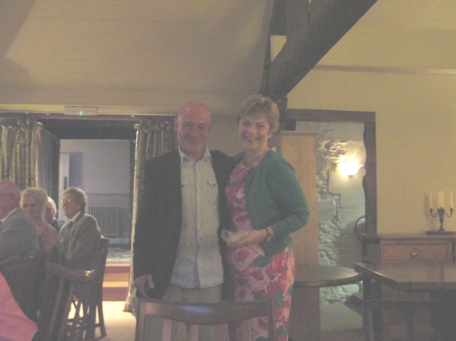 The day was rounded off with a lovely supper, an auction and a raffle. 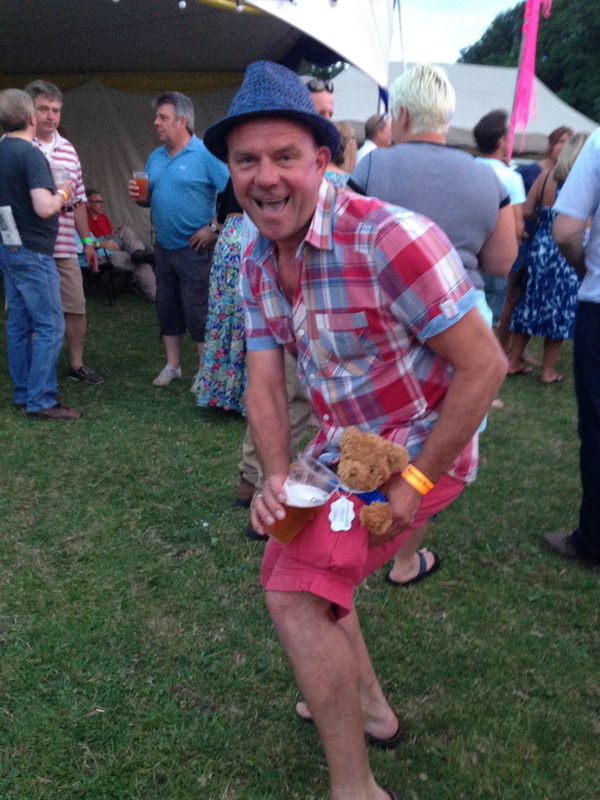 The event raised an amazing £1,550, and we sincerely thank Neil, Deb and their family and friends. 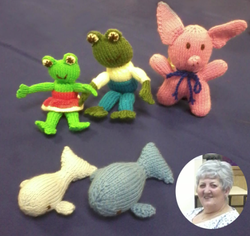 Our friend and supporter Glen Woodman has been busy knitting Easter Chicks and will be selling these at Wilkinson’s store in Chippenham High Street on Saturday 29 March. They will go fast so get there fast! 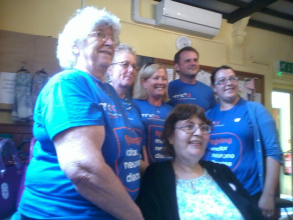 Our Association Visitor, Susanne, had a great Pampered Chef party last week and has raised an amazing £366.00 and a lot of awareness for #MND. 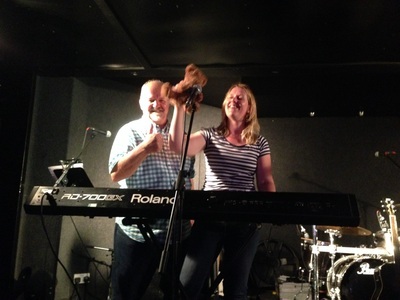 Thanks to Susanne for organising and hosting and for all who attended and made it a big success! 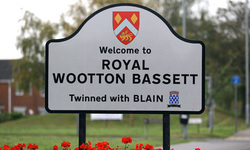 The stall in Wootton Bassett came up trumps again and helped us add another £115.00 to the North Wilts coffers. Hopefully we will be just as lucky when Anne sets up again on Saturday 29th March and Wednesday 2nd April. CORSHAM CHOIR - THE REAL THING!! Get into the Christmas spirit while you shop! 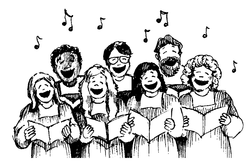 Corsham Choir will be singing at Sainsburys Chippenham this Saturday 21st Dec from 2pm till 4pm. All proceeds will go to #MND North Wiltshire. Anne will be on the MND Charity Stall at Royal Wootton Bassett on Saturday 14th December - come along and wish her a Happy Christmas! 72 signatures collected for the MND Charter and £404 raised from Arval's Dress Down and Cake Sale in Swindon at the end of August! Great day - thanks Arval! Anne and her team ran a charity stall in Malmesbury which raised an unbelievable £828.00. Car boot sales have also helped to add a further £143.00 to the total for July. Let's hope the sun keeps shining as it must help bring the buyers out in force! Congratulations to Anne and all those who help her to continue bringing money in to help those living with MND. Two of the episodes of the recent Love Your Garden series hosted by Alan Titchmarsh have featured people living with MND. The programme has focussed on how important it is for people to still have access to their gardens, to allow them to enjoy their gardens to the fullest, especially as we're having some half decent weather this year. 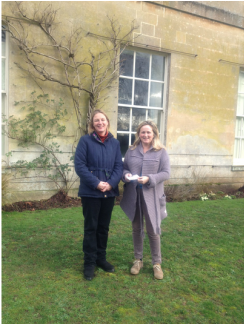 The Reed family have done some fantastic fundraising for the North Wilts Group and a cheque for the total of £1352.36 was presented to Alison recently. In the picture is Scott with Cherry in her electric evacuation chair that we helped to fund whilst waiting for a specialist stair lift to allow her to spend time in her garden. Children, Tegan, Mason, Finley, Taylor and Archie have all played their parts in helping to raise the money for North Wilts MNDA. 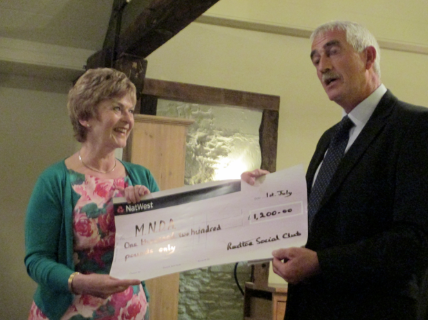 On Monday 1 July Corsham Rotary hosted a celebration evening to mark the most successful ever Corsham 10K Run for the Motor Neurone Disease Association in support of Martin O'Shea who sadly lost his battle with the disease on 4 June at age 49. Martin's story has inspired so many local people who have joined together with his family and friends to raise awareness and funds for the Association. There were a record number of entries for the race this year which raised a staggering £5,500. 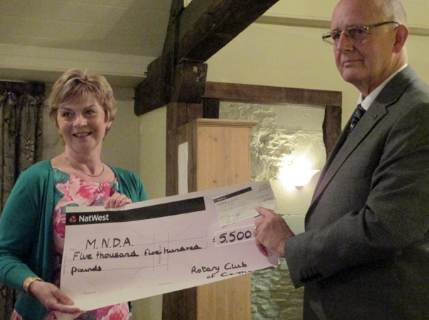 Cheques were presented to Alison Aviss, Chair of the North Wiltshire Group of the Association and also Martin's visitor. Alison said 'Martin was such a special man who bore the challenges of MND with great humour, grace and fortitude. His legacy will help us to improve the support for local people affected by this disease'. More fund raising for Martin O'Shea! 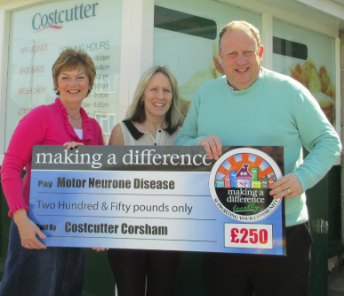 The Corsham Costcutter store have raised £250 for the North Wiltshire Group as part of the 'Making a Difference Locally' initiative, where a contribution is made every time certain items are purchased. The store team nominated the North Wilts Group to benefit from this initiative when they heard that Martin O'Shea had been diagnosed with MND. Store Manager Richard Turrell presents the cheque to Alison Aviss, Visitor and Chair of the Group and Amanda O'Shea, who used to work at the shop. This year's Corsham St George's Day 10K race was run in honour of firefighter Martin O'Shea who is living with Motor Neurone Disease, with proceeds going to the North Wiltshire Motor Neurone Disease Association Group. Despite the cold day there was a record entry field, with many people running for the first time. Runners said that they were encouraged to keep going by seeing Martin and his wife out on the course! Pictured are Rebecca Witts, Physiotherapist and Daniel Smith, Occupational Therapist from the Community Neuro Service Team who support people with MND in the North Wiltshire Area. Dan only started running for this race, after beinginspired by Martin! Pictured here are Mark Evans (left) and Andy Webster (right) who are colleagues of Martin at Corsham Fire Brigade. Both ran the race in full uniform. Andy was also part of the team who ran from Devizes to Bath in full breathing gear two weeks ago, raising funds in support of Martin. 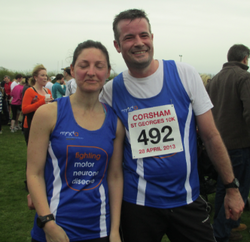 When Martin O'Shea , from Corsham was diagnosed with Motor Neurone Disease in October 2012, his family and friends decided to do everything they can to raise awareness of the disease and raise funds for the Association in Martin's name. We will be featuring the events as they happen. Pictured are Martin and wife Amanda handing cheques for funds raised so far to his Association Visitor Alison Aviss. Over £2000 again for April!! Anne and her fundraising team are pulling out all the stops to keep the much needed funds rolling in for the MND Association. Charity stalls and collections contribute so much and without our team of dedicated volunteers, these fantastic sums just couldn't be collected. Thanks also to the makers and vendors of the fabulous Easter chicks, sales of which eventually raised around £900.00!! 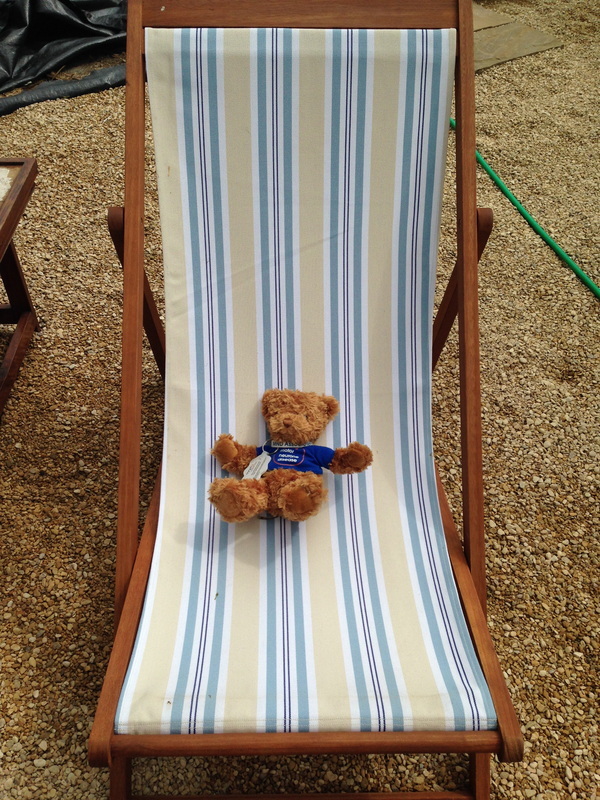 Can you spare some time to help with stalls and collection days?? March fundraising was definitely boosted by the sale of the gorgeous Easter chicks and North Wilts raised a huge total of £2725.00. 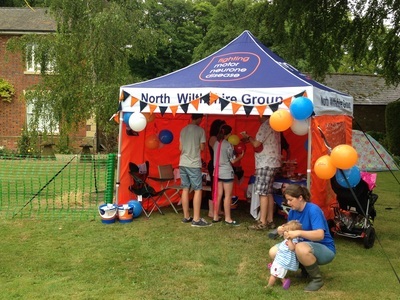 Anne and her team, along with a very generous local family have all contributed towards making this another very successful month of raising money for the Motor Neurone Disease Association. Raffles, charity stalls, collections, donations and sales of home made cards and Easter chicks have all helped to raise the princely sum of £985.00 this month. 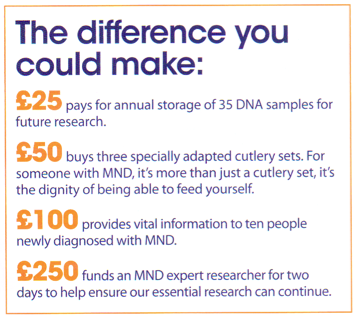 We would like to thank everyone involved for their kind generosity and continued support of the North Wilts MND Group. Fantastic job once again! 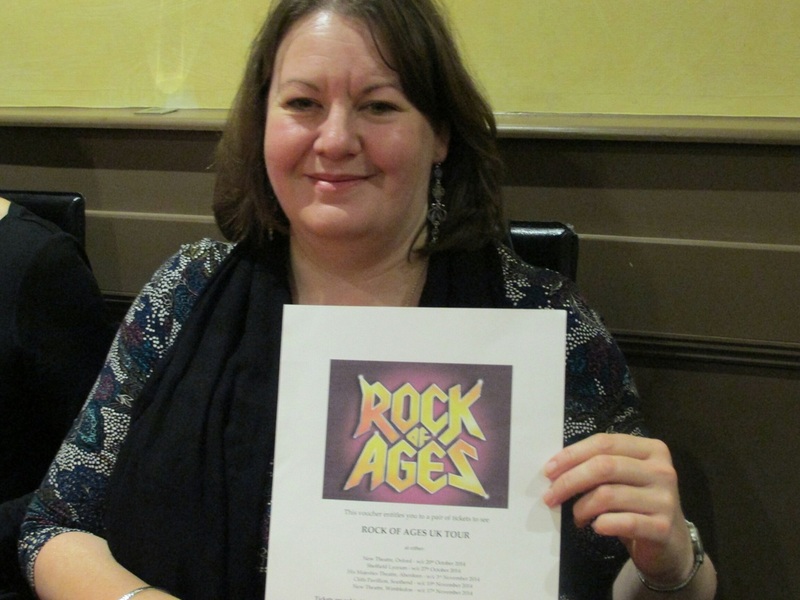 At the end of January we raised £110.00 from a charity stall in Royal Wootton Bassett. Our supportive North Wilts families have also raised a massive £2900.00 so far and have other fundraising events planned. Avid fundraiser, Anne, has also been contacting supermarkets to ask for donations of vouchers to purchase Cadbury Creme Eggs and so far has collected a £10 voucher from Sainsburys Bridgemead store, 50 eggs from Asda Orbital Shopping Centre store and the Midlands Co-operative Store in Old Town will be donating £30 worth of eggs. We have been busy organising collection days and charity stalls and have attached an updated Diary of Events which have been arranged for later this year. If you are able to organise an event or know of any other fundraising ideas please contact one of our committee members.